Jodi and Dan believe that staying connected to our soul helps us stay connected to all that is. Sometimes, through the busyness of life, it’s easy to feel scattered, overwhelmed, and disconnected from our true self. For this reason, they wanted to create a book that helps others who are feeling this disconnect be able to plug right back in. 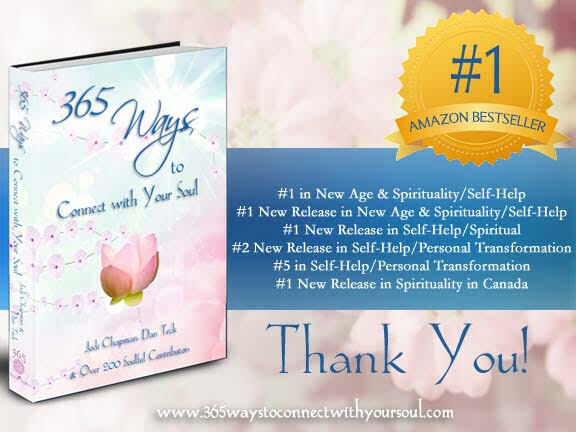 This book will include easy, practical ways to connect with your soul – things that everyone can do. It’s their hope that when someone picks up this book, they can flip to any page and find a tip that will help them instantly align with their soul and with the universe. Have you been sweeping self-care under the rug? Do you think you don’t have the time or money to devote to yourself or the time to relax? When it comes to self-care and relaxation, I resonate with John Holland’s quote: “Taking the time to relax is my right – my gift to myself and my spirit”.” Creating sacred self-care time is essential for you – both personally and in business. Without YOU, your business cannot survive – let alone thrive. Soaking in a warm bath with Himalayan Salt. Meditating – connecting with the Creator of All That Is. Listening to music with ocean and natures sounds. Positive self talk; I love me. I love my body. I am love. Focusing on my breath… Breathe, Stop, and Breathe again. Connect with Mother Earth: sit on her, hug a tree, or hold a crystal. Move – Dance, Swim, Walk, Run, Strength to name a few. Connecting with my Guardian Angels and Guides. Letting go of the need to be perfect…And So It Is.